Lila optimizes the costs within your supply chain, while addressing cost issues and giving you the opportunity to think about Bottom-Up in a whole new and long-lasting way. Every company has to face competitive pressure. So why don't you let us show you how we can support you to reach your goals and implement those capabilities together. Everybody is discussing technology. Our monitoring and support tools enable you to fully, transparently, and profitably integrate suppliers and customers along your value chain. We think about operational excellence first and integrate it throughout your company to shape the ideal value creation network for your company's future, because the past is past. "LILA LOGISTIK supports their customers with developing new business models for the optimal supply chain." 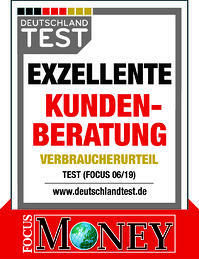 3000 companies from 80 industries are being tested on which companies in Germany have a particularly high quality in their consulting services. Therefore, within the logistics industry, LILA LOGISTIK was able to position easily itself on the winners' podium. Why does a logistics service provider publish a book? We want to know how the future works, and we are convinced that innovation requires a willingness to take the path less travelled. Are commitments and plans important for you? Schedule a telephone appointment with our sales team. We're looking forward to hearing from you. Contact us by clicking below – simple and easy.